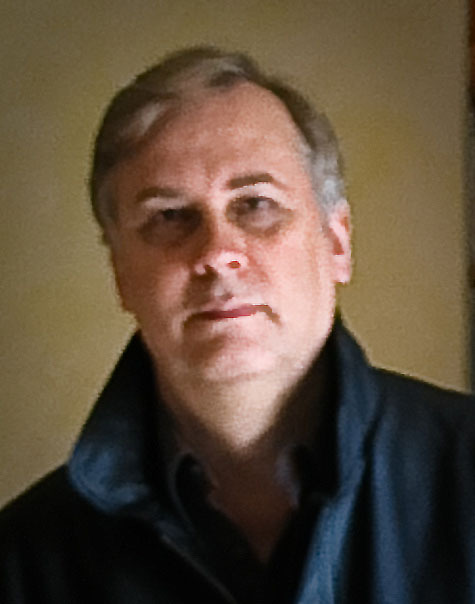 A long time ago I earned a degree in Creative Arts and Masters degrees in 20th Century English Literature and Organizational Psychology, and spent a large part of my 20s teaching students English, American Studies and Drama. But I was always writing, and twenty years ago I won a playwriting competition for a play about the life of Isaac Newton. I haven't written a play since. But I did start to work more as a writer. I’ve had paid employment as a proof-reader, a copy-writer and an online content writer for elearning courses. More recently I’ve worked as a management consultant in leadership training and for the last six years I’ve edited novel manuscripts for publication. I currently work as an editor for an independent Australian publisher. I also write an occasional blog where I analyse and critique crime writing at www.cwconfidential.blogspot.com. 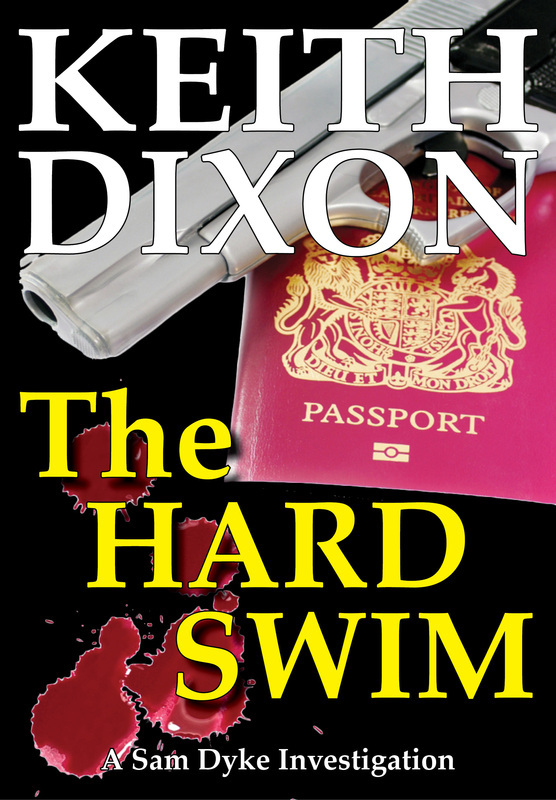 I've now written three books about a Private Investigator set in the north of England, a series that I call Sam Dyke Investigations. I'm currently writing a fourth book which has nothing to do with crime and everything to do with show-biz. I like variety. 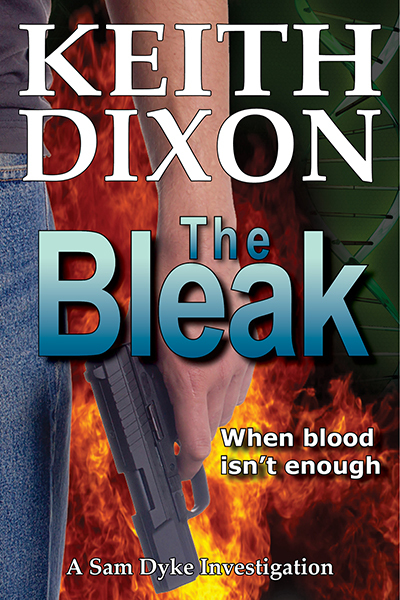 To solve the case Sam must negotiate with his ex-wife, cement a relationship with a new love, unravel an office-based financial fraud and fight off an arrogant murderer armed only with a pen-knife. 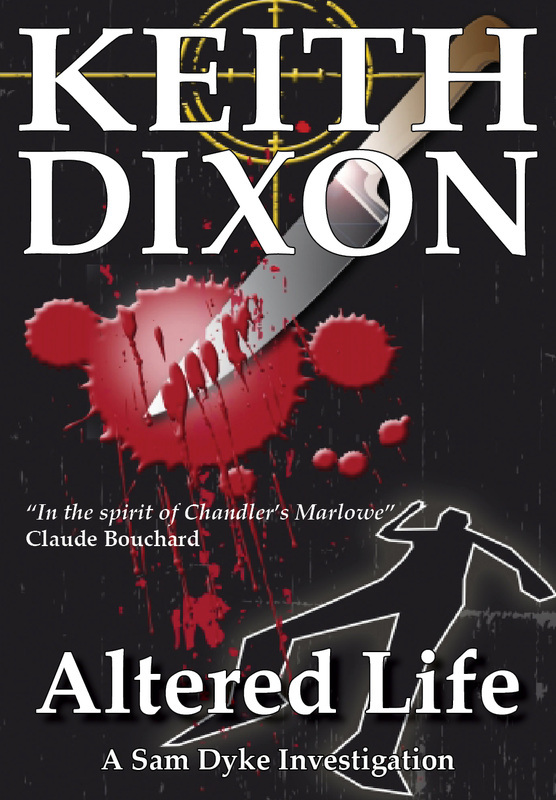 Altered Life is fast-paced, bitterly comic and introduces a tough new English private eye who knows what he wants and, usually, how to get it. Trying to do the right thing, Sam does what he's good at. He irritates people, especially bad guys. And not surprisingly he soon finds himself on the Twins' hit list. What can a father do - except hit back? FEBRUARY 1942: The Struma, a broken-down steamer, explodes and sinks in the Black Sea, drowning 658 Rumanian Jews fleeing the Nazis and heading for Palestine, and safety. SEVENTY YEARS LATER: A young woman is attacked in the grounds of Edinburgh Zoo – the attacker seeking the document that might link these two wartime events. 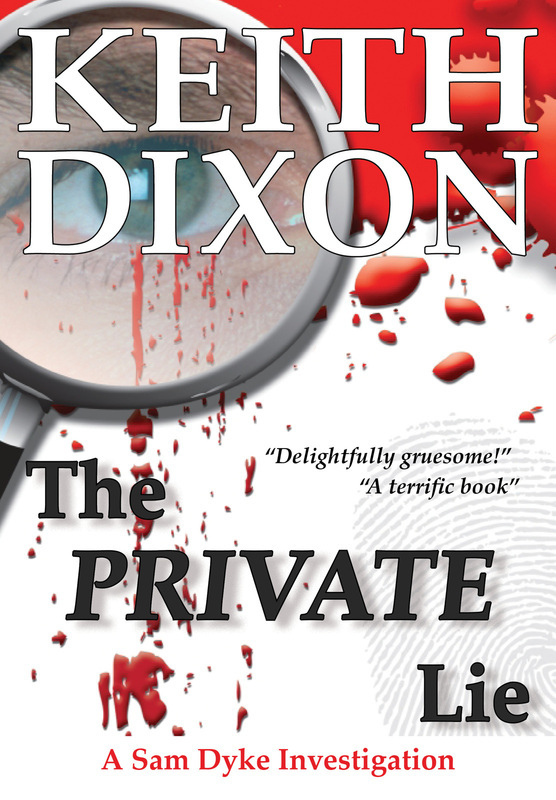 Private Investigator Sam Dyke rescues the woman, Chantal Bressette, and embarks on a quest to find out why the document she carries is being sought by a high-ranking Government official and his team of ex-Army thugs. They follow a series of clues that lead them eventually to an isolated village in central France, tracked by the thugs and government minister Gideon Blake, who becomes obsessed with uncovering what the document reveals because he believes it implicates his father – and thus himself and his family – in an obscene war-crime. Ever wondered how crime writers manage to enthrall and entice you into wanting to read their books? Ever wanted to do that yourself? 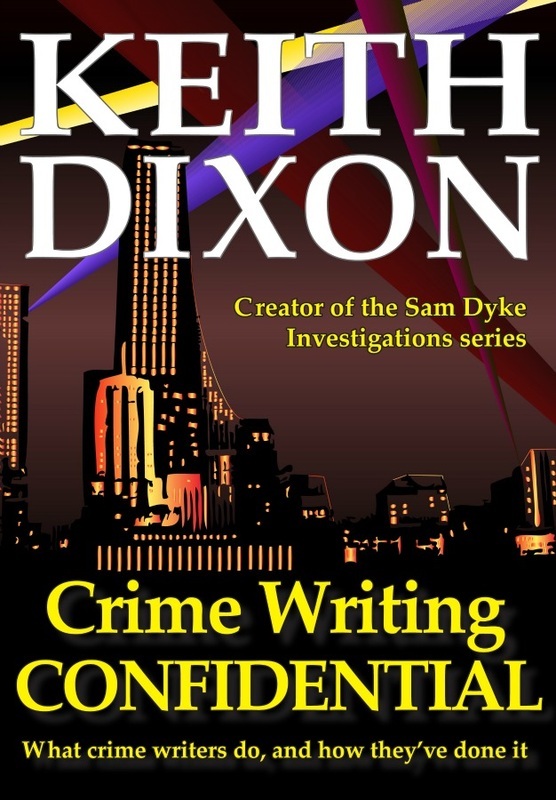 In this collection of critiques and essays, Keith Dixon demonstrates how crime writers put together their books, focusing on a close analysis of the way they write - their tactics, their strategies, their actual prose. Focusing on a number of recent books by the famous and not-so-famous, his analysis will help new writers understand the nuts and bolts of construction and how to develop their own writing style. As a young actress in a long-running TV show, Mai Rose’s career path seemed clear. But she wants more. Already she’s dumped the show and landed a role in a serious play, with serious actors and a more-than-serious director. And now another opportunity has arisen – a major fantasy film with a role that seems tailor-made for her. The only problem being that she’s in competition with four other scheming actresses to win the role. Can she win the part? Does she want to win the part? She has to navigate her way through the demands of the press, the Russian billionaire owner of the newspaper running the competition, boyfriends past and present, her soldier brother and a particularly ambitious (read: nasty) competitor. And all of them underestimate her. Building towards an enthralling climax, Actress examines one person’s struggle to come to terms with who she is, what’s important to her and – most importantly – what she really wants. Actress was recently awarded the status of ‘Awesome Indie’ by awesomeindies.net, a site promoting quality independent fiction.